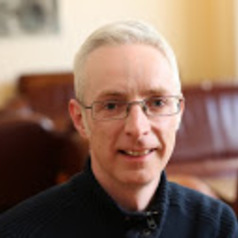 Iain McMenamin is Professor of Comparative Politics and Head of the School of Law and Government, Dublin City University. He is interested in most areas of comparative politics and has published on many topics including political economy, business and politics, political communication, and East-Central Europe. Iain's research has been published in leading journals such as World Politics, the European Journal of Political Research, International Studies Quarterly, and European Union Politics. His book If Money Talks, What Does It Say? Corruption and Business Financing of Political Parties (Oxford University Press 2013) won the Brian Farrell Prize of the Political Studies Association of Ireland for best book in political science published in that year. He is also a recipient of the Dublin City University President's Award for Outstanding Research. In addition to his work at DCU, Iain has held Visiting Fellowships at European University Institute and the Australian National University. He has taught a wide range of courses on comparative politics, European studies and research methods at BA, MA and PhD levels. Iain studied at University College Dublin, Nuffield College, Oxford and the London School of Economics.